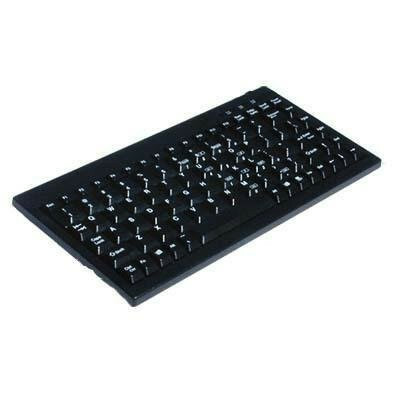 The Keyboard with Keyguard isolates the keys, which helps to stabilize and position fingers or pointers. 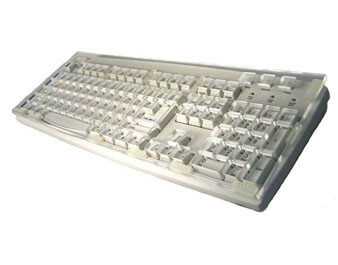 The keyguard is attached to the keyboard eliminating the guesswork of matching up a keyguard to a keyboard. The keyguard is reinforced for stiffness. It is made of unbreakable, clear, .125 inch thick Lexan (a plastic material). The keyholes are smoothly finished and perfectly aligned with each key. Keyboard with Keyguard comes in two sizes. Large which is the standard size keyboard and small which is the size of a laptop keyboard with no num pad. 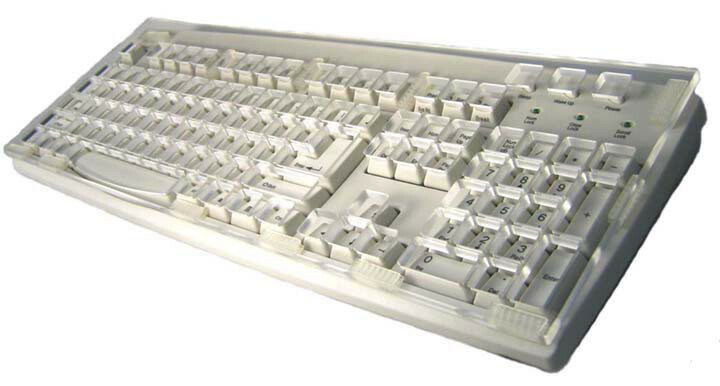 Keyboard with Keyguard is a USB Windows keyboard.